SALE PRICING 1 set: £20 per set; 2-5 sets: £12 per set; 6+ sets: £8 per set (1 set includes 10 x A5 workbooks). 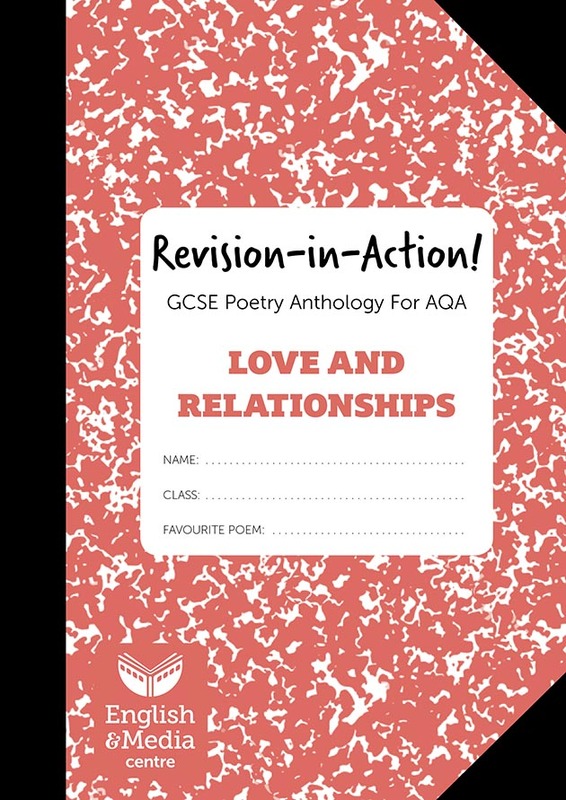 EMC’s Revision-in-Action A5 student workbook for the AQA GCSE Literature 'Love and Relationships' poetry cluster is designed to help your students reach their full potential in their final exams. Revision-in-Action – Love and Relationships encourages students to test out and explore how the knowledge they have developed in lessons interacts with their own ideas. By the time they have worked their way through a booklet, they will be much more confident about how to put to good use everything they know about the poems in an exam situation. Beautifully designed to encourage students to take pride in their work, Revision-in-Action – Love and Relationships is also priced at a level that makes it highly affordable – sold in sets of 10, each A5 workbook costs just £1 per copy when you buy 6 sets or more (60 workbooks) – almost as cheap as photocopying! We bought the Power and Conflict version of these revision booklets for all of Year 11 and what a great success they have been! Great value, well structured and practical. Year 11 enjoy working in them and we’ll be putting in an order soon for Year 10!